Samsung Galaxy Note 5 and possibly Sony Xperia Z5 are the next flagship smartphones to be released on the market this year, but the 2015 will end in full force with the launch of the next Nexus smartphone and Xiaomi's Mi5 high end smartphone. The have been quite a few leaks regarding Xiaomi's next flagship, which was originally slated for a July release. However, it appears that due to Qualcomm's Snapdragon 810 overheating issues, Xiaomi decided to delay the smartphone until later this year when the next generation of Qualcomm chipsets get released. Keep in mind that the information emerged online as a rumor, so there's no way to confirm it since the Chinese company refused to comment on these rumors. 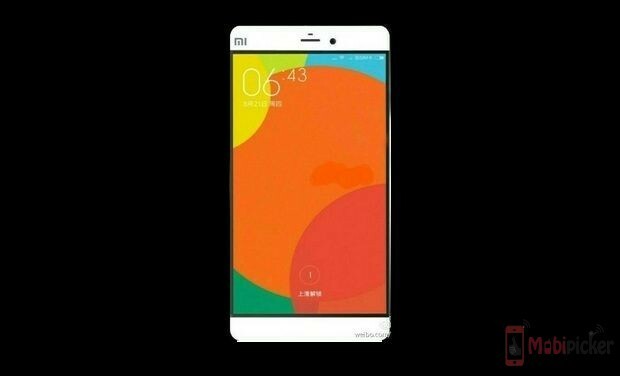 Well, it looks like according to the latest hearsay, Xiaomi Mi5 is now on track for a November release. This means that the smartphone might be announced slightly earlier, though an exact release date will probably be announced closer to the event. Along with the release timeframe of the smartphone, new details on the phone's specs have just popped up via MobiPicker. As expected, Xiaomi Mi5 will be a beast when it comes to specs. The smartphone will be equipped with Qualcomm's Snapdragon 820 chipset, which will be complemented by no less than 4GB of RAM. The smartphone will pack either 16GB or 64GB of internal memory, but it will also come with microSD card slot for memory expansion (up to 128GB). In the front, the Mi5 will boast a 5.3-inch capacitive touchscreen display that will support Quad HD (2560 x 1440 pixels) resolution. In addition, the phone will pack a 16-megapixel camera on the back, as well as a 6-megapixel camera in the front for video calls and selfies. Last but not least, Xiaomi Mi5 will ship with Android 5.1.1 Lollipop operating system right out of the box, but it will also feature a 3,030 mAh battery and fingerprint scanner.